Since you use your bed everyday, it is a prime location to collect hair and shedding skin from your body. Although your sheets will probably collect most of this, it is still a good practice to vacuum the mattress, box springs, and bed frame. Once you have taken off all the bedding, inspect the mattress for any stains. You can use a concentration of liquid soap and a small amount of water to create a soapy solution. Using a scrubbing pad or toothbrush, scrub the stained area to lift it out. Once you are down, make sure the mattress is completely dry. You can also sprinkle your mattress with baking soda and leave it on for about 30 minutes. 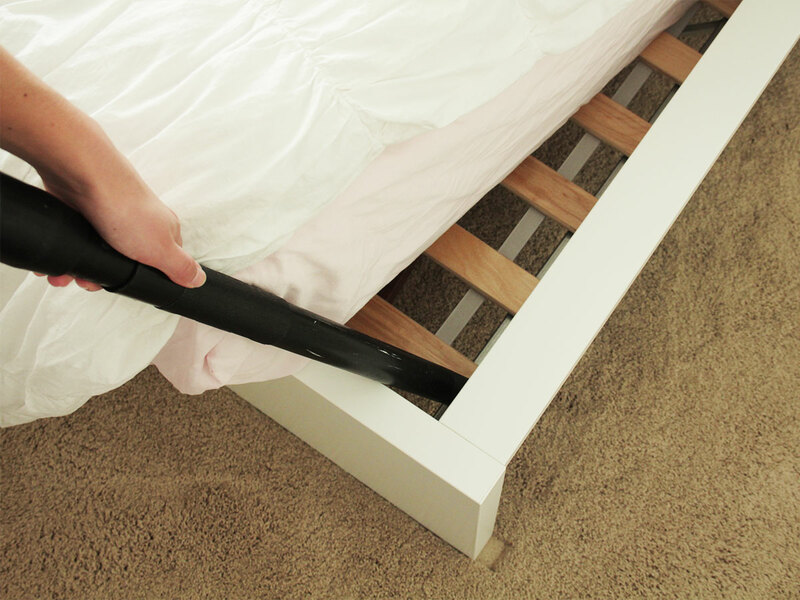 Then take your upholstery attachment from your vacuum cleaner and vacuum the entire mattress. You should also flip your mattress and do this on the other side. You can even vacuum the box springs. Here is a video from About.com on this process.